This pumpkin carving template is not for the faint of heart! In fact, it's a stab through the heart! 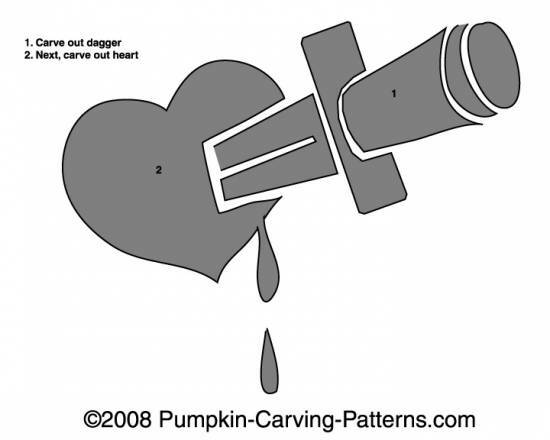 Your heart is your very core and putting a dagger through your heart symbolizes being truly torn apart.